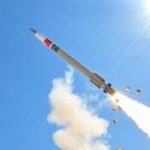 Lockheed Martin (NYSE: LMT) will help in the post-production efforts of the Patriot Advanced Capability-3 missile support center under a $282 million contract modification from the U.S. Army. Work will run through May 19, 2019, and will support local clients and foreign military sales customers Germany, Japan, Kuwait, Netherlands, Qatar, Saudi Arabia, South Korea, Taiwan and the United Arab Emirates, the Defense Department said Wednesday. The Army Contracting Command awarded the modification, with work locations and funds to be determined upon each order issued. Lockheed previously received a $91.6 million contract modification to aid the PAC-3 missile support center in logistics activities for missile repair and recertification.